Email this product to a friend. 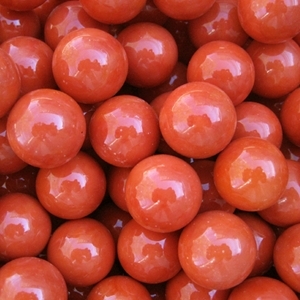 The Opaque Orange 7/8" marble may be used for games such as Chinese Checkers and WaHoo or for decoration and crafts projects. These marbles are sold in packs of 24 or 100. Sizes and color may vary slightly. Warning! : Choking Hazard. This toy is a marble. Not for children under 5 years.